In the winter of 1941, Astrid Lindgren told her daughter, who was sick in bed with a cold, the story of a free-spirited young girl who loved adventure. These improvised bedtime stories were later to become known as the children’s book, “Pippi Longstocking”, published in 1945. Now over 70 years later, this story continues to be read. In this exhibition, you will be able to enjoy more than 200 exhibits including original drawings, manuscripts, personal relics and other materials on loan from Sweden, Denmark, and Estnia. 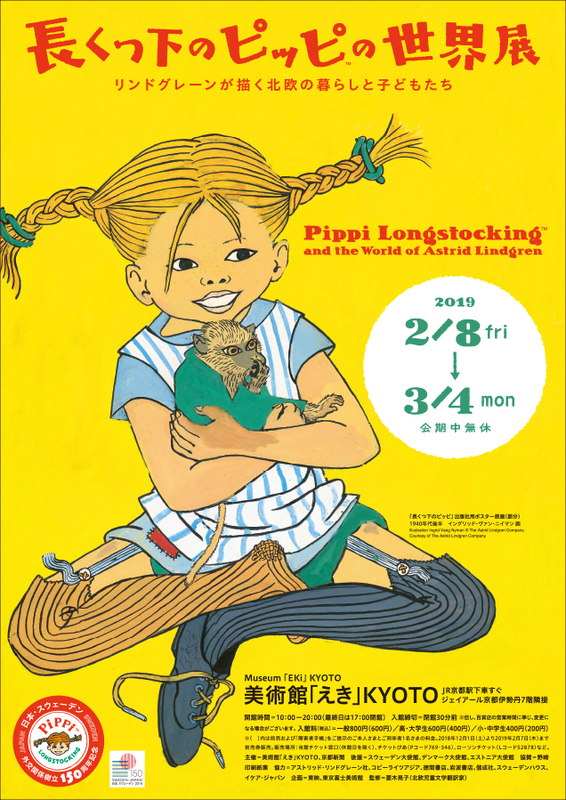 In addition,original drawings of “Pippi Longstocking” from the National Library of Sweden, which Were inscribed in the UNESCO Memory of the World Register in 2005, will be exhibited in Japan for the first time, along with a majority of loans making their Japan debut. Lindgren, who passed away at the age of 94, strived to protect children’s rights, her life and through her books,becoming an influencial opinion leader of her time. This unknown aspect of Lindgren will also be introduced in the exhibition. ■Opening Times: 10:00 am to 8:00 pm (latest entry 7:30 pm) Please note that times may vary in accordance with JR Kyoto Isetan opening times. 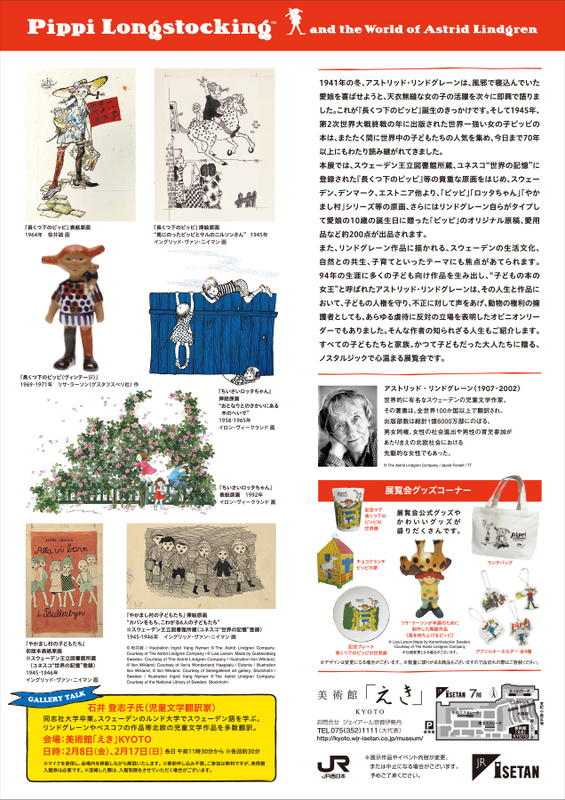 ■Entry fee (tax incl. ): General 800 yen (600 yen), high school and university students 600 yen (400 yen), junior high school and elementary school students 400 yen (200 yen). Please note that prices indicated in brackets apply to advance purchase tickets and to holders of a Physical Disability Recordbook and one accompanying carer. PIA (P-Code 769-346), Lawson Ticket (L-Code 52878) and other major ticket sellers.